Events are a great way to keep people engaged with your business or organization! Events can also help new people find you. 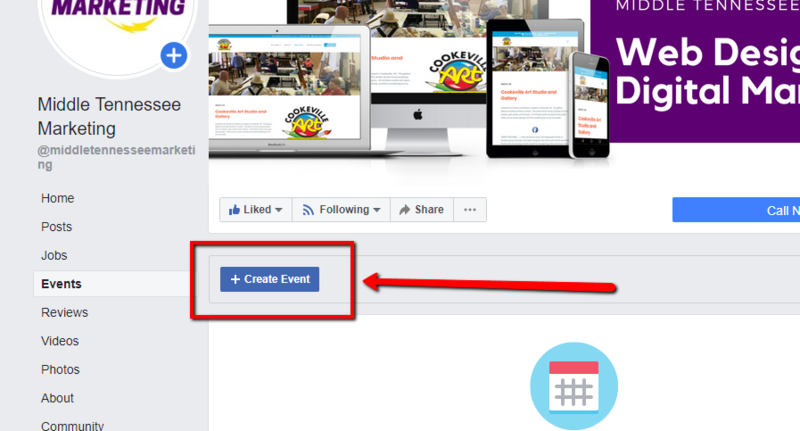 From your business page, select Events from the menu on the left. Fill out all the details of your event. Note that for recurring events, you can set a frequency. After you have filled out all the details, click Publish or Schedule at the bottom of the popup. If you are not yet ready to publish, you can click Save draft. 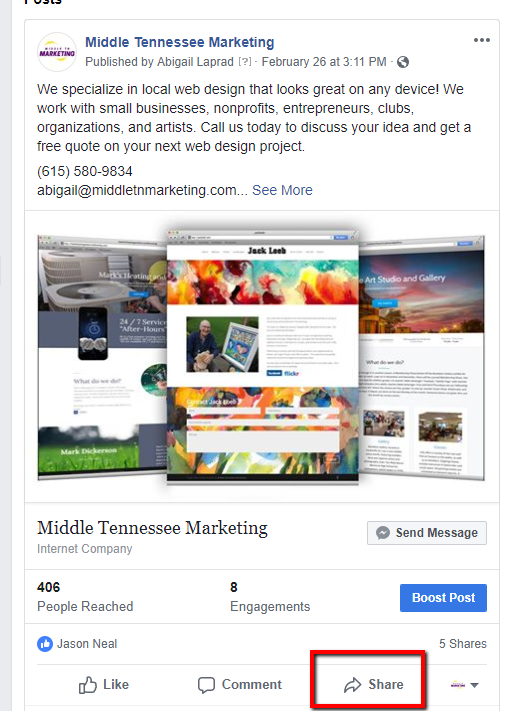 There are many active, local Facebook groups that can be used to promote your business. Do a quick search for your town to find some near you! Join local groups. 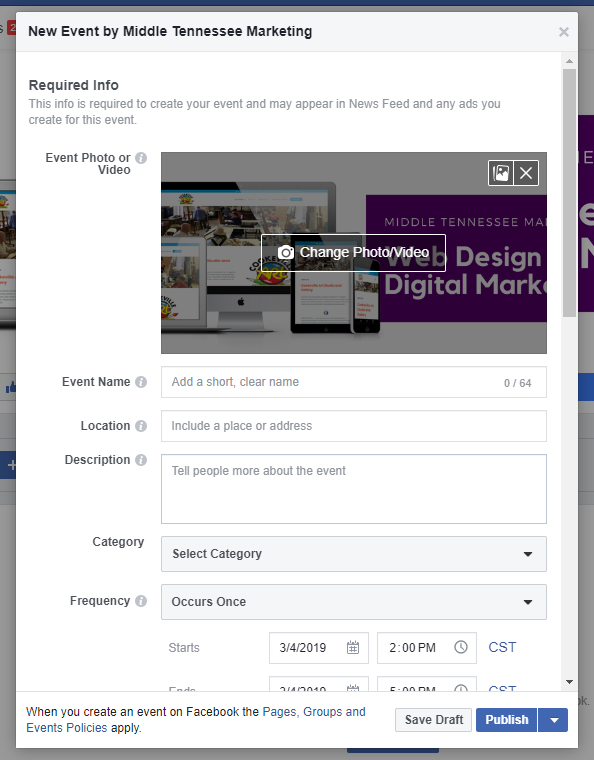 Some of the groups we have in Cookeville include Cookeville Events and Local Businesses, HIP Cookeville, Cookeville TN Online Yard Sale, and many more! Just search for your city or town to find local groups. 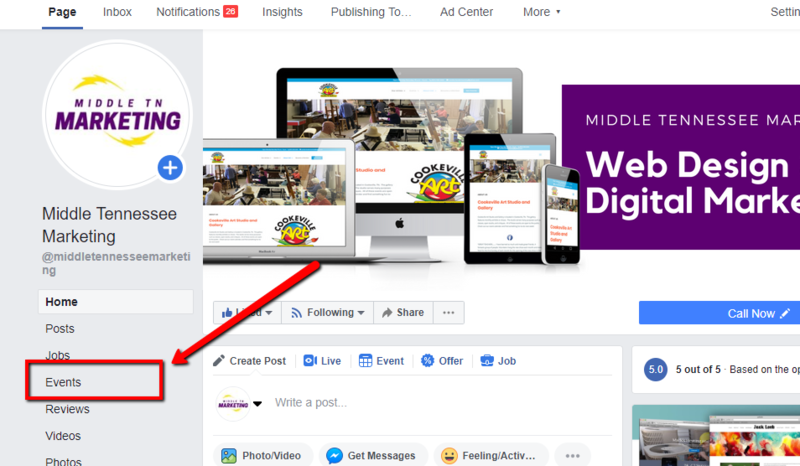 Make sure to check the rules of each group to see what they allow businesses to post! Navigate to a post on your page. Click Share at the bottom of the post. Select where you would like to share the post. 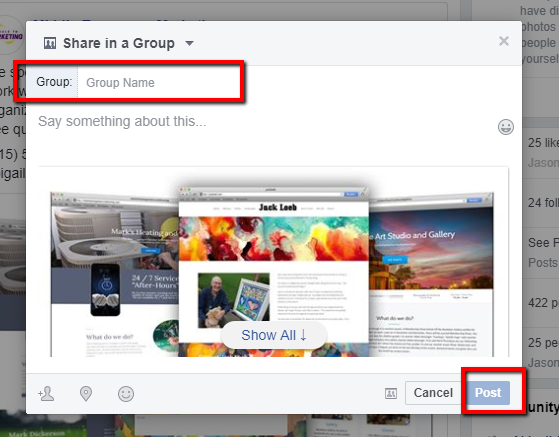 This tutorial is for Share in a Group. Type the group to which you would like to share the post. Next, type some details about the post to tell the group. When you are ready to publish it, click Share.